The Samsonite Golf Trunk Organizer is the perfect gift for the avid golfer to organize his favorite pastime pursuit. Quality is not an issue here either. It comes with a 5-year manufacturer warranty and is made of super-durable “ripstop” polyester, with a waterproof backing. 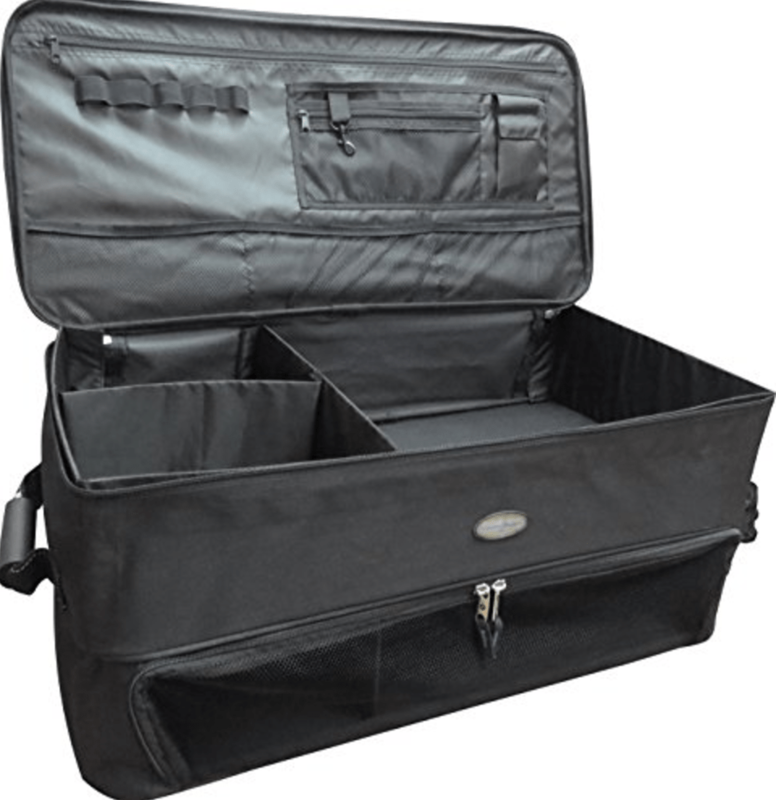 The Samsonite trunk organizer is 28″ x 14″ x 13″ and constructed of polyester. The lid itself can hole tees, sunscreen, keys, gloves, etc. The dividers are adjustable, so you can completely tailor it to your needs. It can house up to 3 pairs of shoes and can keep them segmented with the compartment dividers. It’s well ventilated for better aeration for quick drying of your shoes, with a mesh front door that also allows easy visibility. It has strong nylon carrying handles on either side of the case and sturdy, well-made zippers. The frame is connected with velcro and can be easily taken down for easy storage when not in use. My preference would be to use it for golfing, but it is by no means limited to just storing your golf stuff. It comes in multiple sizes to suit whatever your needs are for space.